The Holiday's are HERE!! 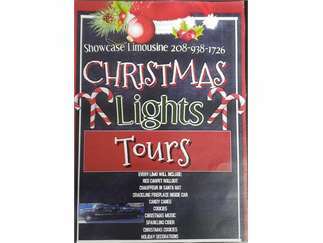 Come take a ride in "One of Our Fancy Sleighs" Book now to Recieve a Holiday discount. Mapped out routes of the best Christmas lights in town.